Applications for the fifth annual Music Educator Award™ are currently online; to nominate a teacher, visit GRAMMYMusicTeacher.com. The deadline to nominate a teacher is March 15, 2017, while the deadline for applications is March 31, 2017. The award is open to current U.S. music teachers, and anyone can nominate a teacher — students, parents, friends, colleagues, community members, school deans, and administrators. Teachers are also able to nominate themselves. Nominated teachers will be notified and invited to fill out an application. Keith Hancock of Tesoro High School in Rancho Santa Margarita, Calif., was announced as the recipient of the 2017 Music Educator Award presented by The Recording Academy®. Nine other music teachers from nine cities across seven states were selected as finalists for the award. Initial nominations were submitted from all 50 states. The Music Educator Award was established to recognize current educators (kindergarten through college, public and private schools) who have made a significant and lasting contribution to the field of music education and who demonstrate a commitment to the broader cause of maintaining music education in schools. Each year, one recipient will be selected from 10 finalists and will be recognized for his/her remarkable impact on students' lives. 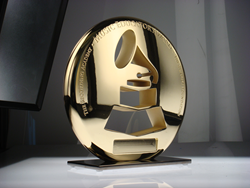 The fifth annual winner will be flown to the host city of the GRAMMY Awards to be recognized during GRAMMY Week 2018. The winner will also attend the 60th Annual GRAMMY Awards® ceremony. The nine additional finalists will receive a $1,000 honorarium, and the schools of all 10 finalists will receive matching grants. Fifteen semifinalists will receive a $500 honorarium with matching school grants. The honorariums and grants provided to the finalists and schools are made possible by the generosity and support of Converse, Disney Performing Arts, Ford Motor Company Fund, and Journeys. In addition, the American Choral Directors Association, the National Association for Music Education, the NAMM Foundation, and the National Education Association support this program through outreach to their constituencies. The deadline for nominations is March 15, 2017. The deadline for applications is March 31, 2017. Established in 1957, The Recording Academy is an organization of musicians, songwriters, producers, engineers, and recording professionals dedicated to improving the cultural condition and quality of life for music and its makers. Internationally known for the GRAMMY Awards—the preeminent peer-recognized award for musical excellence and the most credible brand in music—The Recording Academy is responsible for groundbreaking professional development, cultural enrichment, advocacy, education, and human services programs. The Academy continues to focus on its mission of recognizing musical excellence, advocating for the well-being of music makers, and ensuring music remains an indelible part of our culture. For more information about The Recording Academy, please visit http://www.grammy.com. Converse Inc., based in Boston is a wholly owned subsidiary of NIKE, Inc. Established in 1908, the Converse brand has built a reputation as "America's Original Sports Company"™ and has been associated with a rich heritage of legendary shoes such as the Chuck Taylor® All Star® shoe, the Jack Purcell® shoe, and the One Star® shoe. Today, Converse offers a diverse portfolio including lifestyle men's, women's, and children's footwear, apparel and accessories and is sold globally by retailers in over 160 countries. For more information, visit Media.Converse.com and follow @converse. Disney Performing Arts unlocks student potential and helps young people make their own dreams come true—whether it's performing in front of an international audience of thousands at Disney theme parks and resorts or honing their craft in enriching workshops and clinics taught by entertainment professionals. Every year, thousands of vocal, instrumental, and other ensembles travel from around the world to participate in Disney Performing Arts programs at the Disneyland Resort in Southern Calif. and the Walt Disney World Resort in Fla. Disney delivers workshops and performance opportunities that enrich, inspire, and often lead to life-changing personal achievement. Ford Motor Company Fund and Community Services works with community and global partners to advance driving safety, education, and community life. Ford Motor Company Fund has operated for more than 65 years with ongoing funding from Ford Motor Company. Ford Driving Skills for Life is free, interactive, hands-on safety training focused on skill development and driving techniques, while addressing inexperience, distractions and impaired driving. Innovation in education is encouraged through Ford Blue Oval Scholars, Ford Next Generation Learning, and other inspiring programs that enhance high school learning and provide college scholarships and university grants. The Ford Volunteer Corps enlists more than 30,000 Ford employees and retirees each year to work on local projects that strengthen their communities and improve people's lives in more than 40 countries around the world. For more information, visit community.ford.com. Journeys is a leader in the teen specialty retail scene, with more than 800 stores in all 50 states, Puerto Rico, and Canada. Journeys uses fashion savvy and merchandising science to keep in step with the fast-paced footwear and accessories market for 13- to 22-year-old guys and girls. Journeys offers a wide variety of trendy, relevant brands that cater to teens that seek the hottest, new styles. However, the Journeys store is more than a retail environment—it's an extension of the teen lifestyle. From the plasma TVs playing exclusive content and the latest music videos, to the visual merchandising strategy and promotions, to the employees whose image and style reflect the customers' lifestyle and attitude. In addition to retail stores, Journeys reaches its customers through journeys.com, journeys.ca, catalogs, social media, and grass-roots events like the Warped Tour, Alternative Press Music Awards, and national club-level music tours in the spring and fall seasons. Journeys—An Attitude You Can Wear! Journeys is a division of Genesco Inc. For more information, visit journeys.com.